Students today require not just sound mathematical abilities, but also problem solving and reasoning skills. Contemporary's Real Numbers series helps student learn to reason and to solve problems that they encounter in daily life. 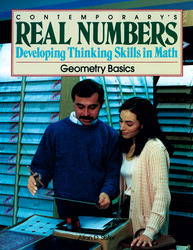 Real Numbers uses a visual approach so students become competent in a broad range of math topics.